When it comes to studying and reading about running, I have to admit that the conventional technical/training oriented books don’t really do it for me. I’m lucky to work with a great coach who understands me and my goals well enough to help build a training strategy that leads to growth and results. I’m also pretty diligent about dedicating some time to listening to podcasts from leaders in our sport or perusing articles on the fundamentals of training. Where I’ve often needed a boost is in the mental aspect of training. I know I’m not the only runner who gets so bogged down in the mechanics of goals and training that one starts to view running as a chore rather than a privilege or joy. What I’ve needed on occasion is to be reinspired and delving into the philosophy, art, history, and curiosities of our sport has always enabled me to enhance and refresh my interest in running. This isn’t a “Best of 2017” list, but just some of the books that spoke to me this year. Perhaps you’ve come across or read all of them. Either way, if you’re like me, I hope these reads will ignite excitement and inspiration when you need it. 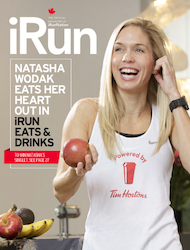 Upon graduation from Rice University, Wade received a fellowship that allowed her to travel across the globe and explore different running cultures. The journey begins during the London 2012 Olympics, where an associate manages to arrange for Wade to have dinner with Usain Bolt, and jumps to Japan, Switzerland, New Zealand, and Ethiopia among others. At each stop along the way, community is the common factor. Wade learns how the Ethiopians perfected the art of easy running, takes on brutal hill workouts and unconventional track races in Scandinavia, and bustles through the surreal and crowded running paths of Tokyo. In every case, she is welcomed and fed by those who share her passion. In fact, each chapter comes with a recipe from each of the cultures Wade visits. 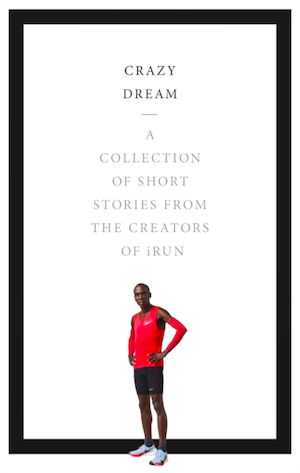 This book was a reminder of why I want to run forever. PBs may be harder to come by with age, but knowledge, personal growth, and friendships never seem to stop forming when we run. Grit is a perhaps overused term. Everyone knows it’s important, but often the assumption is that grit is innate. Psychologist Angela Duckworth unpacks grit into key components and uses case studies ranging from military academy recruits to spelling bee champions to demonstrate how grit can actually be cultivated. Concepts like deliberate practice (Don’t neglect your track workouts, people! ), adopting a growth mindset, and constantly renewing your interest are made real and practical in Duckworth’s book. This book actually came recommended from Eric Gillis, who cited it as the book every runner should read. I encourage everyone to take Eric’s advice, but you can also have a sneak peek with Duckworth’s TED Talk. When Roger Bannister became the first runner to break the 4:00 mile barrier in 1954, debate erupted in the international press over whether or not the effort should be recognized because Bannister used pacers throughout in an attempt that was specifically about breaking 4:00 and not in a “real race”? Sound familiar? Many of the debates that surrounded NIke’s Breaking2 project aren’t new. As someone who was a bit of a Breaking2 skeptic myself, what ultimately fuelled my intrigue was the three men who saw a barrier in front of them and decided to stick their neck out in attempt to do something considered impossible. Yet again, Bascomb’s account of breaking the mile barrier as a common with our current obsession with the two hour marathon . Bascomb’s book is the story of Bannister, Aussie John Landy, and American Wes Santee, all gifted athletes who eventually found themselves hovering a nice round number (the book also does a good job of showing how arbitrary some of these barriers can be) and entered an arms race to be the first to crack it. Even with the mile record now lowered to 3:43, the context of national pride, the gradual transition from amateur to professional athletics, still makes this story enthralling. I, of course, am always looking for recommendations so leave yours in the comments.